Happy, happy Friday! 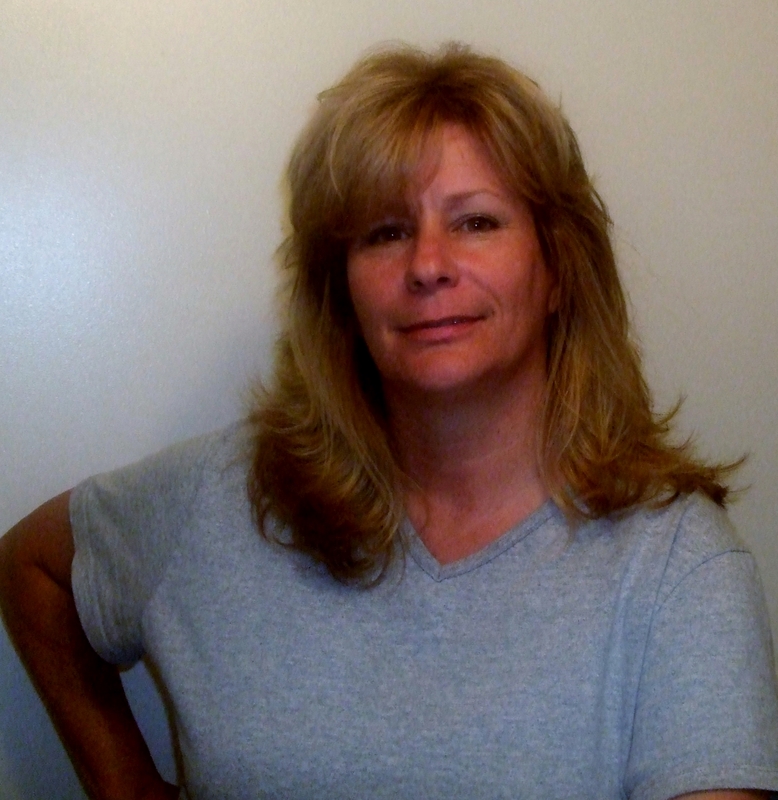 Welcome to another wonder guest author interview. I’m so grateful to have all of you fabulous readers with me for this week’s interview. I am honored to have the vivacious Kathy Reinhart with me today. Kathy is the author of a number of novels, but you didn’t come here to read about me talking about them. You came here to hear (here to hear, I love the English language so much sometimes!) from the author herself. Kathy, why don’t you start out tell us a little bit about yourself. I began my career writing articles for online enthusiast magazines, mostly on the subjects of horses and eventing. This was back in the late ‘90s. I’ve always been a reader, but after a serious riding accident in 2001, I found myself reading much more while I was laid up. After a particularly lousy book from a well-known author I thought, ‘I could do better than this’ and began writing novels. I’m not sure I’m better than that author, but I am better than that particular book! I think we have all had those moments where we read a book and think that. Just as I’m sure we’ve all had moments where we read another book and think, ‘Sweet baby Moses, what was I thinking! I’ll never write this well.’ It’s such a rollercoaster ride isn’t it? Next could you tell us a bit more about the types of stories you write. As a new writer, the possibilities of what to write seemed endless. I enjoyed reading many genres, but when I actually sat down with pen to paper, my stories always seem to be about women between 25 and 45 who are faced with either life-altering issues or internal struggles that so many of us can relate to. So, I write women’s fiction because that’s what called to me. Being a middle-aged woman with her own issues and decisions to make, I’ll never run out of ideas. The old adage, “write what you know” comes to mind. 🙂 And though I’m glad you have so many ideas to write about, I hope there are some good things in your life that you can write about and that it’s not all just issues and struggles! Something else that truly fascinates me is hearing from other authors about their journey to getting published. The stories are always different and always fascinating, not to mention informative. I’ve written four complete novels and have twice as many half-written on the shelf. The first one, Pretty Lies, sits in a drawer. It was long at (125,000) words and I think I was just so excited that I finished a full draft that I wasn’t ready to get into the real work of revisions and editing. Instead, I had so many ideas that came to me while writing that book that I began a new one immediately after I finished my first draft. The next book was better. I saw the improvements in my writing and began to understand the term ‘honing your craft’. I took the time to revise and edit that book, Missouri in a Suitcase, and went by way of self-publishing. Self-publishing is a usually a trap that catches new authors eager to see their work in print. Missouri is a good story, but looking back, I wasn’t ready for publication. Yes, you have to be careful if you go the self-pub route. It gives other self-publishers a bad rep if you are too quick to put out your story without having it thoroughly polished before you do. I highly recommend getting it into an editor’s hands and if not, at the very least have a round or two with a critique partner and beta readers. Putting something out there that is rough and laden with errors is a quick way to get people not to trust you as an author and it will be even harder to get them to read any of your subsequent work. What about other stories that you’ve written? Were you happier with the outcome of your later work? My next novel was Lily White Lies. To this day, that book is my baby. I spent years writing, revising, and editing. I had already decided that I was not going to self-publish again and would ride out the submit/wait/submit again wave. I had sent out several submissions and was waiting to hear back when I saw an ad for a fiction manuscript contest. The entry fee was reasonable and I figured if nothing else, I might receive some constructive feedback while I waited to hear from the publishing houses I queried. I ended up winning the contest, which awarded me a publishing contract, an advance, and a few other perks mentioned in the announcement. The working relationship between Dawn Rivers (Wahmpreneur Publishing) and I started off on the right foot, but it wasn’t long before I realized I’d been had. Although she did publish the book as promised, I never saw a dime of my advance, I never saw a dime (or a statement) of my royalties, I never received my author copies, I was never entered into the RWA contest as promised, in other words, she took whatever money the book made and ran. Yikes! The lawyer in me is itching to jump in with a bunch of questions on that but I don’t want to linger on it. I will just throw in a little, let this be a cautionary tale, for all you new writers out there. Be sure to get things in writing, signed by the other party you are contracting with. Even with a contract (like Kathy had) it could still take some time and effort to get the other party to abide by their contractual obligations (so be clear in what those obligations are in your contract) but if you don’t have a contract at all, it’s nearly impossible to get any help from the legal system. Winks and nods and unsigned documents are easily contested, but a signed contract means the courts are invested. (Totally made that rhyme up just now. Lawyer poet! haha) Not to make light of your situation, but if I didn’t distract myself I would have gone a little crazy. I hate hearing about people doing things like that. It’s one of the reasons I went to law school. But I digress, please go on with your story! I later learned that she did the exact same thing to the winner from the previous year. A very underhanded thing to do and it left me with a terrible taste in my mouth for publishers. So when it came time to publish my latest book, The Red Strokes, I formatted and submitted to Amazon as an eBook. Granted, sales weren’t nearly as good as eBook sales for Lily White Lies, which had a paperback available, but there have been no headaches. One day, I’d like to try traditional publishing again. I suppose I’ll know when it’s the right book and the right time. Thank you so much for sharing your story with us. I hope my fellow new writers out there will take it to heart, as I have. I don’t want to see this happen to anyone else as I’m sure you don’t either since I know that you like to help other authors out. In fact, that’s what got me so excited to interview you. I love what you do on your website to help indie authors, it’s something I always like to see. Could you tell my readers about that? I began Ink Drop Interviews in 2011 as my way of paying it forward. I’m a firm believer in Karma and no good deed goes undone. The funny thing is, there are literally thousands upon thousands of Indie authors out there trying to scratch out a name for themselves, yet so few willing to take the opportunity of free publicity. Ink Drop Interviews has a following of about 17,000 and has been nominated for several awards over the years and yet no one seems to want to interview. I take every opportunity I can to promote my work and don’t understand anyone else’s reluctance, especially when I read their posts about poor book sales. Recently, I’ve begun posting my book reviews to the site. I’m a tough critic, even when it comes to reviewing the heavy hitters, but I’m honest. It seems I’ve only ruffled the feathers on one writer, so far. Not a bad average. The Writing Piazza: Wow! 17,000 followers! I’m totally jealous. 🙂 I’m working hard but I’m nowhere near those types of numbers yet. You also have a great following on your social media sites, how long did it take you to build those up? 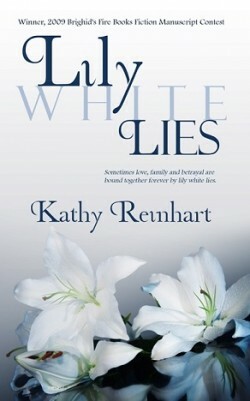 Before the release of Lily White Lies, I wasn’t on any social media sites. I always felt socializing took time from my work. But when that book came out and I realized my publisher had bailed on me, I joined every social media network I could find in order to begin promoting the eBook I had listed on Amazon. It seemed to work because back then, I was selling more eBooks than I ever thought I would, but as with all books, after a while sales fall off and anyone who liked that book begins looking for another. I’ve learned it’s really a matter of balancing the writing end of the business with the marketing end of the business, and that isn’t always easy. Without social media, the majority of writers would never sell books. That’s great insight! I also, have to throw in a little shout out to my girl Kate Tilton, who did an interview with me a few weeks ago. Kate is an author’s assistant and can really help you free up some time to write if any of you out there are looking for help with your marketing and social media. You can click HERE to read that interview and get her contact information. After all, we’re all about the practical tips here on The Writing Piazza. 🙂 That being said, do you have any tips or advice for other authors who are trying to build up their own networks? If you’re looking to build a following, have something of interest to say. Blog regularly. Engage. On Twitter, RT others who post about writing. Follow the blogs of other writers and more often than not, they will follow back. But most of all, don’t get lost in it. It’s so easy to fall victim to the never-ending distraction of the internet. Get a system. For instance, if you write best in the early morning, don’t check your email, twitter, FB, etc., until you’ve written to your goal. If you get stuck in your writing, don’t think that taking a break to check your Twitter feed will help. It won’t. I know all you readers out there couldn’t see me, but I was giving Kathy the biggest thumbs up as she was offering you all that killer advice! Thanks for giving all these great pieces of advice Kathy, I know I appreciate learning from the wisdom of other authors. I hope my readers do as well! Keeping along the path of advice and learning from your journey, what is one thing you know now, that you wish you’d known before you published your very first book? I wish I knew that it wasn’t as easy as the great authors make it look. Anyone can sit down and put a story on paper, but putting a story others want to read on paper is something entirely different. Your husband/mother/sister/aunt from Idaho are always going to love your work. But will you be satisfied selling only a handful of books? The competition is overwhelming. Nothing short of hard work, practice and a bit of luck will take you the distance. Very, very true. I have been learning that lesson first-hand as I travel my own journey to get my first book published. But I think knowing how difficult it is really helps you prepare mentally. Knowing how far you have to go before you start, really helps you weigh whether it will be worth it to you to even begin traveling down this road. Commit to the journey. You’ll find more reasons to turn back than you’ll ever find to trudge forward. How badly do you want it? An excellent question to ask, often. How badly do you want it? If you don’t want it badly enough, you will let the excuses turn you around. I’m glad that you didn’t let your setbacks turn you around! So tell me about your future plans. Are you currently working on a new book? For the first time, I’m working on more than one novel at the same time. And for the first time, two of them are untitled! Until recently, the title always came first, but as I said, I spend much more time on a book than I did previously. I research much more, I weigh things like names and settings more, and I spend a lot more time scrutinizing the little details. I have two standalone books in the works and I also have book one, Fight Like A Girl, from the ‘Like A Girl’ series nearing the end of the first draft. Because I’m writing them simultaneously, I should have four or five books coming out between later this year and 2017. Fingers crossed and salt over my shoulder! What about any upcoming events? The Writing Piazza: That all sounds so exciting! You’re so modest lady! Keep up the good work. And before I let you go, do you have a way my readers can get in contact with you if they’d like to connect? Fantastic! Thank you so much for being here with me today Kathy! Thank you so much to all you stupendous readers out there who joined us today. Tune in next week for another author interview. It’s yet another reason to love Fridays! 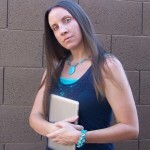 Once again, Kara, thanks so much for having me as a guest on your blog. It was a lot of fun! Great interview… LOVE your books Kathy!! !